Belize’s national elections on November 4 gave the ruling United Democratic Party (UDP) an unprecedented third term in office. The opposition People’s United Party (PUP) had expected to return to power, for the first time since 2008, in view of the country’s lackluster economic performance (except for a tourist boom), a wave of corruption scandals, and falling prices for Belize’s leading commodity exports. A new third party, the Belize Progressive Party, also participated, representing a coalition of smaller parties. The UDP won an increased majority (19 out of 31 seats, the rest going to the PUP). Dean Barrow has therefore started his third, and last, term as Prime Minister. Public spending on infrastructure, education, and health funded by borrowing from Petrocaribe was a key factor in the election. Many voters in Belize have also become accustomed to receiving party support in cash or kind in the last 20 years in return for their votes. The PUP, reliant in the past on cash from Michael Ashcroft (a British billionaire with Belizean citizenship), was strapped for cash this time because Ashcroft reached an agreement on most of his outstanding disputes with the government and no longer had much incentive to support the opposition. The PUP also suffered from a weak – albeit honest – leader in Francis Fonseca, who had performed badly in municipal elections earlier in the year and who had failed to impose discipline on the party. He has now resigned, although he will stay as leader until a new one is elected. The PUP, the dominant force in Belizean politics since its formation in 1950 and the party that took the country to independence in 1981, is now in danger of disintegrating. The UDP government faces a number of challenges. The sugar market in the European Union is being opened to unrestricted competition, which could lower prices further. Concessional funding from Petrocaribe could be reduced or even ended as the economic situation in Venezuela deteriorates. And Belize continues to face considerable pressure from the U.S. government both with regard to its offshore financial center and as a result of sanctions against various individuals under the “kingpin” anti-drug legislation. Last but not least, Belize will have to pay compensation to Michael Ashcroft for nationalization of the telecommunications company at a rate to be determined by arbitration over which the government will have no control. The biggest threat to Belize, however, comes from Guatemala. The disputed western frontier is porous and Guatemalan poachers have become bolder in recent years, even panning for gold in the mountains. Both governments had previously agreed to take their territorial dispute to the International Court of Justice, but they must first put it to voters in a referendum – a prospect in which Guatemalan President-elect Jimmy Morales has so far shown no interest. With a population of only 350,000 (compared with 16 million in Guatemala), the new government of Belize may face an uphill struggle. Though off the radar of most analysts, Belize appears to be the latest casualty of the drug trade and criminal violence. It debuted on the Obama Administration’s annual blacklist of major drug-transit and -producing countries back in September 2011, alongside El Salvador, filling out the roster of Central American countries. That U.S. government spotlight, however, has done little to halt the Mexican drug cartels’ expansion into Belize. The U.S. State Department now estimates that about 10 metric tons of cocaine are smuggled each year along Belize’s Caribbean coast – partly the work of local contacts established by the Zetas and the Sinaloa cartel. Like its neighbors’ security challenges, Belize’s problems are not limited to drug trafficking. Urban gangs and the rivalries among them are the main driver of the escalating violence, which is rooted in the same causes as in neighboring countries – institutional weakness, rampant corruption, impunity, and unemployment. The government-sponsored gang truce negotiated in 2011, which featured “salary” payments to members who ceased violent activities, collapsed last December when funds dried up. (Click here for details documented by our colleagues at InSight Crime.) Belizean authorities tallied a record number of homicides last year, edging out neighboring Guatemala for the sixth place slot in global per capita homicide rankings. Porous borders make Belize attractive to transnational gangs, particularly El Salvador’s MS-13 and Barrio 18, both of which have established a significant presence in the capital city, Belmopan, and elsewhere. About one-fifth of the country’s 325,000 people are Salvadoran citizens, making it difficult to track criminal elements. The deteriorating conditions in Belize raise questions about the effectiveness of U.S. counternarcotics and “citizen security” programs in the region. The patchwork of U.S. initiatives under the umbrella of the Central American Regional Security Initiative (CARSI) has not reversed regional trends even in tiny Belize. While the country’s law enforcement agencies welcomed the heavy equipment, training, and technical assistance that make up the bulk of CARSI funding, the tactical gains have been obscured by a worsening strategic outlook. The U.S. Government Accountability Office has voiced its concern that the State Department is confusing efforts with results. Moreover, neither the Belizean nor U.S. government has mapped out a preventative strategy. 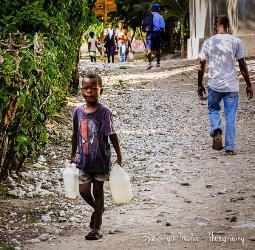 The most recent data show that less than half of the funds allocated to Belize from CARSI’s Economic Support Fund, used for programs to help at-risk youth, has been spent, and after handing out 1 million Belizean taxpayer dollars to gang members during the truce, for example, there is little to show for it. 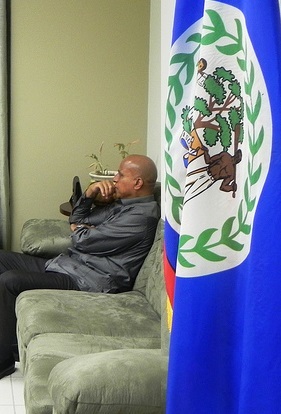 In the run-up to President Obama’s summit with Central American presidents next week, Belizean Prime Minister Dean Barrow’s statement that “Obama hasn’t done anything for Belize” was subsequently qualified, but the fact remains that U.S. partnership with Belize, like with its neighbors, has not begun to work yet. **An earlier version of this post inadvertently omitted the word “Belizean” before “taxpayer dollars” in the concluding paragraph, giving the false impression that State Department funds had been used to subsidize Belize’s gang truce.